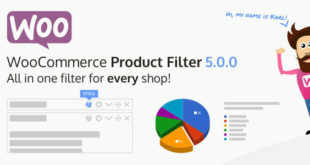 Премиум плагин для WooCommerce — Measurement Price Calculator v3.5.1. — калькулятор цен для магазина. Он позволяет добавлять и настраивать калькулятор цен для ваших продуктов, которые продаются в больших количествах, в зависимости от их размеров, площади, объема, или веса. Это позволяет легко продать продукты, которые имеют известную измерения за единицу. Например, продаете плитку, которая продается 300 рублей за квадратный метр, покупателю необходимо купить 35 квадратных метров или больше окно, которое охватывает 60 квадратных метров. Используя ту же оценку за квадратный метр, вы можете калькулятор так, что он посчитает полную стоимость в зависимости от общего объема, количества. 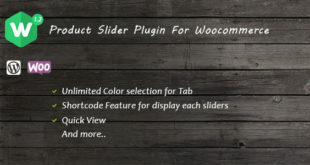 While selling t-shirts or cell phone covers is easy with WooCommerce, many of us also sell products that aren’t sold in quantities of «1», such as flooring, wallpaper, or more. The Measurement Price Calculator for WooCommerce will solve the problems you’ve probably encountered in setting up and pricing these products. 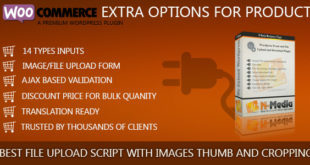 The Measurement Price Calculator extension for WooCommerce allows you to add and configure a calculator to your products that are sold in quantities based on their dimensions, square footage, volume, or weight. 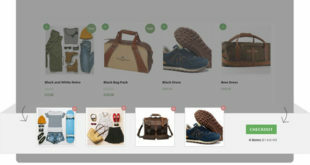 This allows you to easily sell products which have a known measurement per item. For instance, let’s say you have tile that’s sold for $2.09 per square foot, and you offer a box of tiles that covers 35 square feet or a larger box that covers 60 square feet. Using the same pricing per square foot, you can easily enter the size of the box and the calculator will display the total price per box. Looking to instead allow customers to tell you how much they need? The Measurement Price Calculator also allows you to sell products based on the price by unit of measurement (per square foot, cubic yard, etc). Perhaps you sell mulch with a price per cubic yard — you can allow the customer to provide an area and depth of mulch, and the calculator derives the total cubic yardage and final price. Configure any combination of units and customize labels to meet your store’s needs! 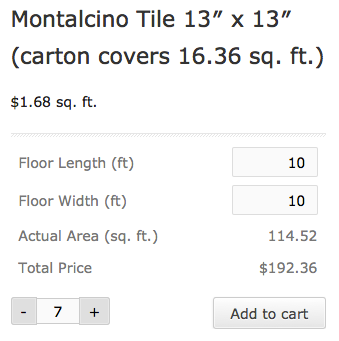 As shown in the sample image, the plugin can be configured to display the price “per unit”, as is common with tile sales. The price for the product (e.g., one box of tiles) will be divided by the configured size of the product (e.g., the square foot coverage of the box of tiles) to determine the price per unit. Of course, any of the calculators can be used: dimensions, area, volume or weight, with any combination of units and custom labels. In the latest version of the plugin, inventory can now be managed “by unit” for custom sized products (user-defined mode). With this option enabled, you have the ability to account for product inventory in the same units in which it is sold. 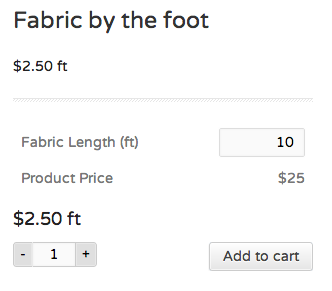 For instance, if your product is fabric by the foot you can configure your product inventory in terms of available feet of fabric, so if a customer orders two 10-foot lengths a total of 20 feet will be deducted from your product inventory. Now you can configure a weight “per unit” for your user-defined calculator products. By enabling this option you are able to set a weight per square foot, for instance, so that shipping costs can be correctly totaled for products customized by your customers. For simple products with prices that vary depending on the total measurement of the item, we are pleased to introduce the pricing table feature. No longer are you limited to a single price per unit for your pricing calculator products – simply define one or more pricing rules consisting of a measurement range, a price per unit, or a sale price per unit and the measurement price calculator will take care of the rest. 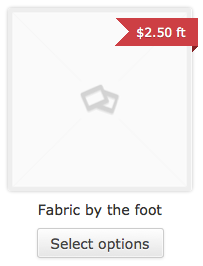 The price will be instantly updated on the product page based on the size of product configured by the customer. Remember that any of the calculators can be used: dimensions (length, width, height), area (simple area or length x width), surface area, perimeter, volume (simple volume, area x height, or length x width x height) or weight, with any combination of units and custom labels. The Measurement Price Calculator allows you to configure product calculators that are as unique as your product line! That’s it! Enjoy products priced automatically by measurement!